The product has been diligently handcrafted using combination of contemporary & traditional methods. 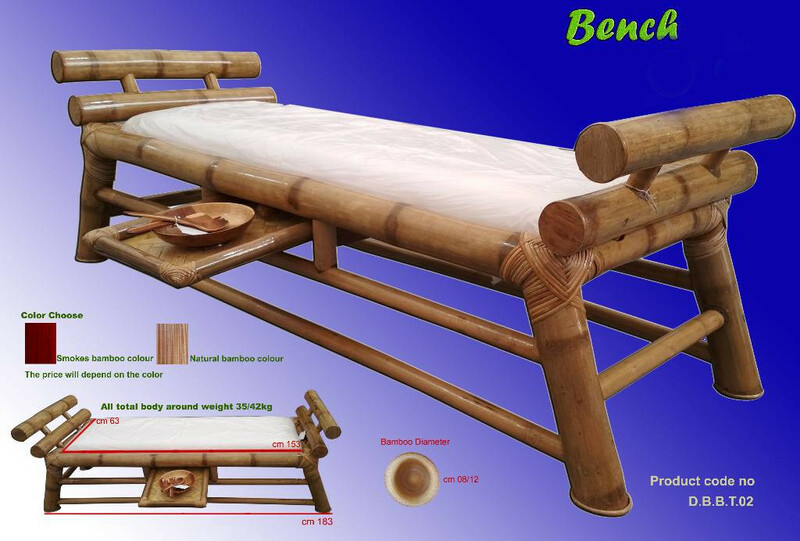 This handcrafted Bench is constructed from various diameter bamboo are sturdy and durable. The bamboo used in our products undergoes a rigorous treatment and curing process. All furnitures are treated for termite infestation andfinished with a sprayed on UV resistant polyurethane for longer life and greater protecton. Any residual odour from treatment chemicals dissipate within a short time. We guarantee if handled in accordance with our recommendations, it is durable and lasts a very long time.